F5 Per-App Virtual Editions (VEs) provide Application Delivery Controller (ADC) and Web Application Firewall (WAF) functionality for AWS hosted applications; delivering intelligent traffic management and robust security services on a 'per-app' basis. F5 Per-App Virtual Editions (VEs) provide Application Delivery Controller (ADC) and Web Application Firewall (WAF) functionality for AWS hosted applications; delivering intelligent traffic management and robust security services on a 'per-app' basis. 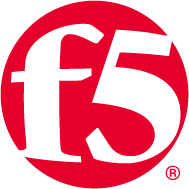 F5 Per-App VEs deliver the same scalable, secure and customizable market-leading services provided by traditional F5 physical and virtual ADCs- at a price and in a form factor appropriate for supporting individual apps. Each Per-App VE supports 1 VIP and up to 3 virtual servers. This solution deploys the BIG-IP LTM Per-App VE which helps ensure applications are always available to your end-users while optimizing their user-experience through intelligent L4-L7 load balancing and traffic management. Additionally the Per-App BIG-IP LTM provides SSL/TLS termination and offloading, deep health monitoring, connection state management as well as complete programmatic control over traffic using F5 iRules.